Quick Cure 15-Minute Epoxy Adhesive Kit, 8 oz. System Three 1010K10 - Quick Cure 15-Minute Epoxy Adhesive Kit, 8 oz. 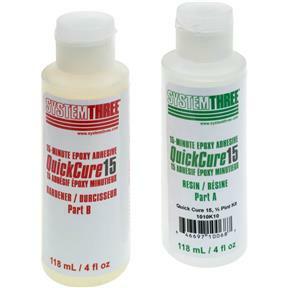 Quick Cure-15 will provide some additional working time over the Quick Cure-5 product.